The first option we are going to look at is quick and easy. All you need to do is find the volume rocker on the upper right side of the device and hold the down option for a moment or two. 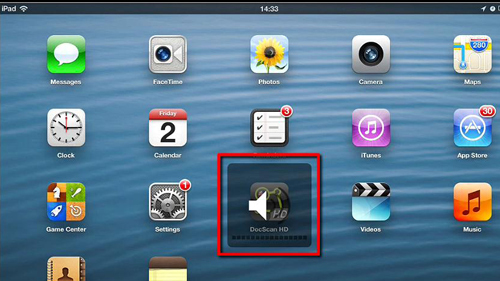 The volume level will appear on the screen and after a moment it will jump all the way down – effectively muting the iPad. An alternative option is to use the active application bar. Bring this up with a multitouch gesture up the screen, swipe in the bar to navigate to the left. 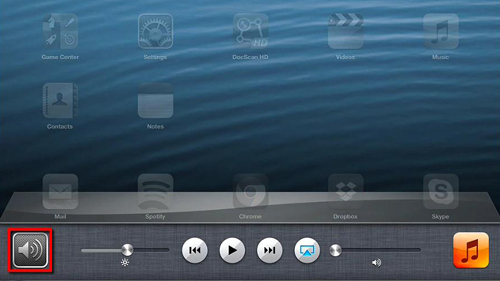 In the new option that appear you will see a volume icon, you can simply tap this to mute the iPad. It will become crossed out, indicating that the iPad has been muted. It is possible that there will not be a mute icon here, this depend on your iPad’s settings – it is interchangeable with freezing rotation on the device. You can change this in settings which will also give us our third and final way of muting the device. Go back to the homescreen and touch “Settings” and navigate to “General” on the right. In the list on the right change the settings so that the “Side Switch” is set to “Mute”. Now when we move the side switch on the device (located on the top right side) the iPad will mute. 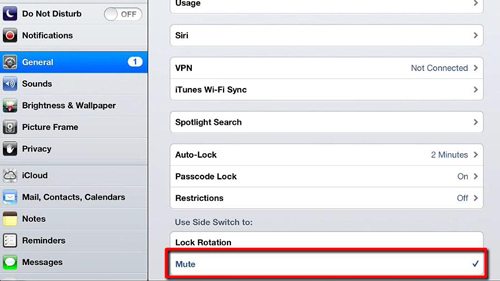 These are three ways of how to mute an iPad.